In every power plant in the world, steam from water is the driving force. The quality is important to ensure efficient and reliable operation of the power plant equipment and to protect important and expensive assets. X-Flow ultrafiltration (UF) membrane products were developed to meet the challenges in the power generation industry. This is because of the importance of the pretreatment unit in the reverse osmosis (RO) membrane process for demineralized process water to feed the boiler and cooling water recycling. Those challenges are compounded by the need to deal with the more and more complicated contaminants found in raw water. Water losses must be minimized during processing while maximizing water recycling. These requirements are driven by the increasing awareness of water scarcity and on the subsequent regulations for water conservation and discharge. Scaling: due to constant evaporation of the circulating water evaporation in the process of cooling, the salt concentration increases. When this level exceeds the solubility of some salt, precipitation will occur. Calcium carbonate, calcium phosphate and silicate scale are common byproducts in the process. The scale greatly reduces the efficiency of heat exchange. The heat transfer coefficient decreases 20% where the scale of thickness is 0.6 mm. Dirt scale: the dirt scale consists of organics, microbial colonies, secretions, and dust. The scale has a soft texture. It decreases the heat transfer efficiency and causes corrosions under deposit, which shortens the service life of the equipment. Corrosion: the corrosion caused by circulating water is mainly electrochemical corrosion. Contributing factors are equipment manufacturing defects, oxygen in the water, corrosive ions (Cl-, Fe2+, Cu2+), and microbial mucus slime. If the corrosion is not controlled, the heat exchanger and pipeline will be damaged in a short period. Microbial slime: the circulating water is suitable for the growth and reproduction of microorganisms. This is because of the sufficient dissolved oxygen, proper temperature and eutrophic conditions. Without timely control, this will rapidly leads to the deterioration of water quality and mucilaginous deposition. The heat transfer efficiency will decrease substantially and increase the equipment corrosion. To prevent this, microorganisms in the circulation water treatment must be controlled. Treatment and recycling of the cooling water can significantly save the water resource and reduce the environmental burden. Pretreatment and demineralization is an effective process. The Xiga or Aquaflex membranes are the ideal solution to control suspended contaminants and microbiology in the water and protect further downstream demineralization process running with safety, reliability and lower maintenance. We offer the unmatched superior expertise in UF membranes. The membranes can help achieve safe, reliable, and sustainable operation of the water as pretreatment of RO membrane used for boiler feed makeup and cooling water recycling. The X-Flow brand offers a wide range of innovative products and solutions for Power Generation Industry. As effective tools for the pre-treatment of RO membrane for demineralization process, these solutions reduce the overall water footprint of plants, reduce downtime, and make plants operate more efficiently and at a lower cost. Water treatment for boiler makeup water provides demineralized water for the boiler. The water quality is set to prevent the scaling and corrosion in the power generating turbine equipment. Because of rising costs and growing supply challenges, more and more power plants are using ground water, surface water, and seawater instead of potable water. Most surface waters will contain particulates such as suspended solids like silt, colloid silica, and microbiology such as bacteria. These particulates will cause scaling and microbiology membrane growth on the surface of the RO membrane. This significantly lowers RO module performance by reducing the permeate water production. This increases operation energy consumption and the maintenance frequency of the system. Those contaminants that can impact the performance and economical operation of downstream demineralization equipment can effectively and efficiently be removed by X-Flow ultrafiltration membranes with excellent SDI control. X-Flow Xiga, Aquaflex UF membrane technology and products can provide a reliable treatment system that eliminates the need for multiple treatment steps. It can be enhanced by direct coagulation to provide esthetically pleasing water that is free of color. Seawater desalination requires extensive pretreatment expand the lifetime of the RO membranes and prevent the RO membranes from fouling and plugging with fine silt. X-Flow offers dedicated UF membranes specifically designed for seawater pretreatment to remove all fine silt and turbidity and screen microbiology. 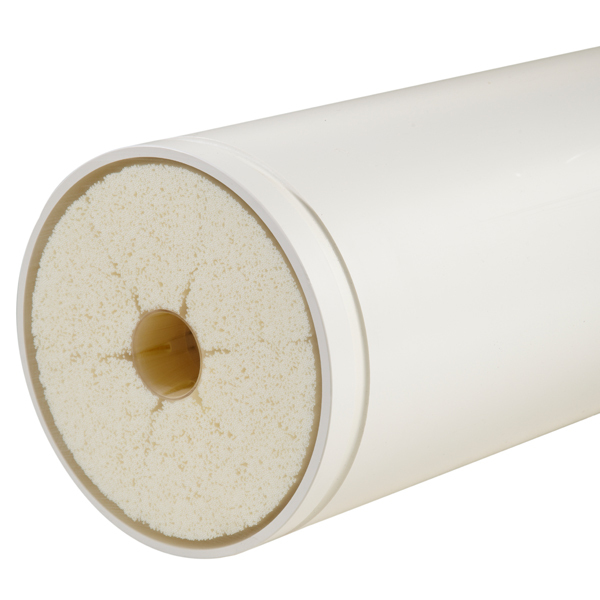 The UF membranes provide a simple solution to produce water that meets the highest standards for SDI, turbidity and microbiology. X-Flow’s Seaguard and Seaflex membranes guarantee the best possible water to the desalination process in power plant boiler makeup water. 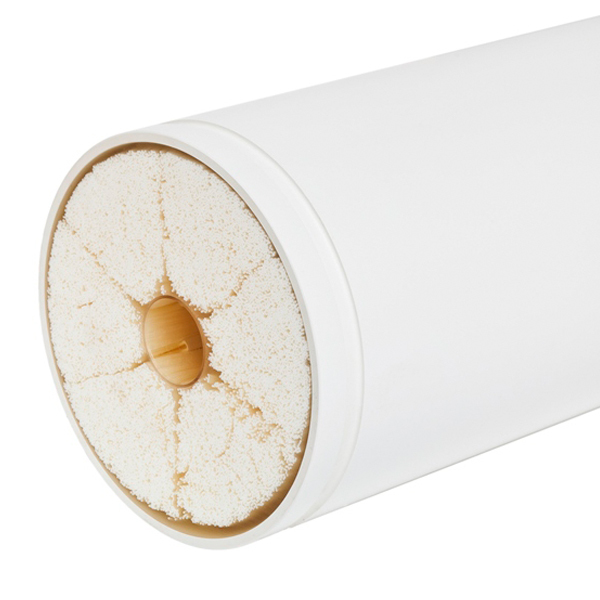 Our HFS60 membrane is specially designed for silica removal. The X-Flow membrane solutions improve water quality while reducing the footprint and energy consumption of plants and make plants operate more efficiently and at lower costs. Surface water, seawater, and circulation water contain microbiology as well as suspended solids. treatment systems thateliminates the need for multiple treatment steps, and an ideal solution to control suspended contaminants and microbiology in the water and protect further downstream demineralization process running with safety, reliability and lower maintenance, with HFS60 specially designed for silica removal.